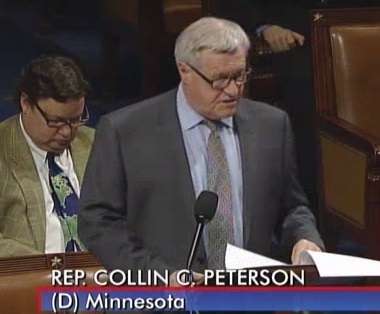 Rep. Peterson, the House Ag Committee ranking member, calls for the bill’s passage. Our coalition was founded in 2010 in large part to help ensure that our needs as new, young and sustainable farmers are represented in public policy. And today, although we’re not happy with all aspects of the new farm bill, we are proud to say that many of the challenges that we face in starting new farm businesses – access to capital, land and training – will be addressed in the farm bill that passed in the House on Wednesday. Valuable training programs, such as those offered by the Farm Beginnings Collaborative, will continue to be available for farmers nationwide. 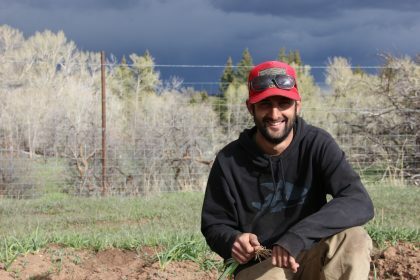 The Beginning Farmer and Rancher Development Program, a grant program that supports hundreds of training programs for new and beginning farmers across the country, was fully funded. The microloan program is here to stay. The Farm Service Agency’s microlending program, which NYFC worked to pass and which distributed loans to more than 3,000 farmers across the country in its first year, was made permanent. For new farmers, working with the Farm Service Agency to buy a farm will now be easier. The experience requirement for farm ownership loans, which was formerly a 3-year minimum, was made more flexible for applicants with non-traditional training experiences. We took the first step towards protecting the affordability of farmland for farmers. The definition of the Agricultural Conservation Easement Program was expanded to include farm “viability,” which will help us ensure that federal support for farmland conservation easements will focus on protecting the affordability of farms. Farmers receiving subsidies will be required to take care of their land. The new crop insurance provisions require conservation compliance, which will help to ensure that farmland is not abused and topsoil will be preserved for future generations. Protections for livestock farmers were kept intact. The final bill rejects a series of extreme proposals to eliminate market and contract protections for livestock and poultry farmers, safeguarding a fair and competitive market. 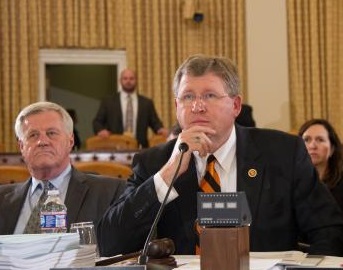 House Ag Committee Chairman Lucas participates in farm bill discussions. As far as farm policy goes, there is still a lot of work to be done. This bill will be voted on in the Senate within the next few days and then head to the White House. After it’s in effect, all of these statutory changes will require continued advocacy to make sure they work on the ground, and big challenges remain when it comes to commodity and crop insurance subsidy reform. Yes, there were some disappointments that we saw in other important parts of the bill, including large cuts to SNAP benefits. These are areas that we’ll continue to work with our partners and members to address. But for now – let’s celebrate. We’ve made significant progress, and we now know what we can accomplish together. To a future with farmers!